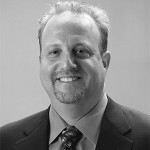 Mr. Sigesmund is responsible for leading the business development efforts for all MC Consultants, Inc. consulting groups. Mr. Sigesmund identifies and implements local and national partnership opportunities. He manages existing client relationships, plays a critical role in expanding MC services into new geographic locations, and is integral in the effective negotiation and implementation of business partnership agreements. Mr. Sigesmund brings extensive entrepreneurial capabilities to MC Consultants including his precise analysis of competitive marketplace trends and his ability to identify prospective opportunities. Mr. Sigesmund received his Juris Doctorate from Whittier College in Los Angeles, MBA from San Diego State University, and Bachelor of Science from Arizona State University in Tempe.